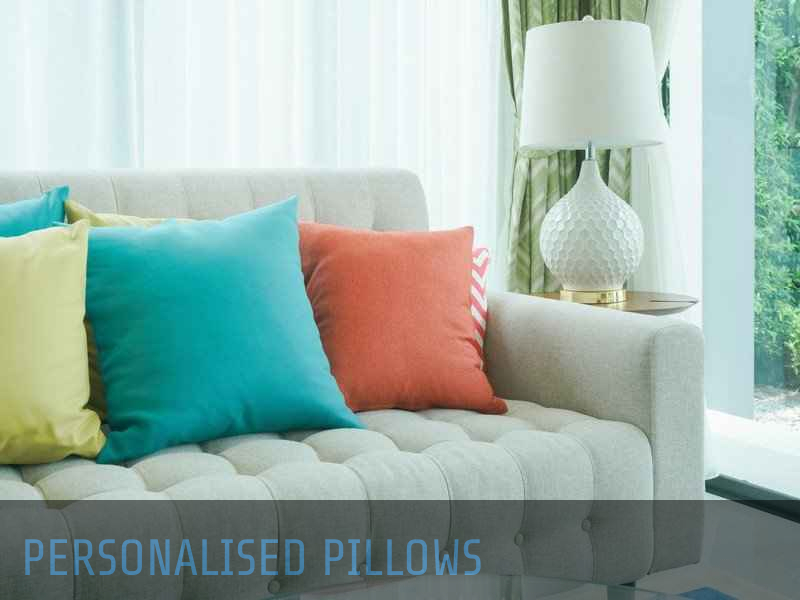 Identify the image you want printed on the personalised pillow. It can be your friend’s photo, his or her favourite artist or something they like to do. You can also add a text to the image. Then print the image onto the iron-on transfer paper. When printing, choose the mirror image if it has a text to avoid printing the text backwards on the pillow. To do this, place the transfer sheet on the pillowcase or t-shirt. Ensure the sheet faces downwards and the pillowcase is larger than the print out. If the image is extremely big, cut away the excess. Then, heat the iron to transfer the image properly to the surface. Allow some time for the image to cool before peeling away the backing to reveal the image you want on the personalised pillow. If the pillowcase has excess fabric on the sides, you can cut it away or sew it in but leave 1-1.5 inches on the margin where you will sew the pillow closed. Then, turn the fabric inside out so that the iron transfer is on the inside part. If you are using a t-shirt, you need to sew it so that it takes on the shape of a pillow. You can use a needle and a thread or a sewing machine but leave the one side open so you can stuff your pillow with old clothes or fabric. Then, turn in the edges of the bottom hem of the pillow and sew to shut in the material..